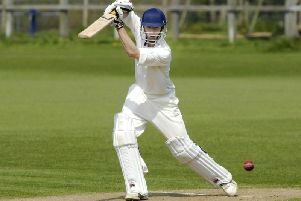 The Readers Scarborough Beckett Cricket League have reacted quickly following the shock resignation of premier division side Kirkbymoorside last week and announced a new-look formation of divisions for the 2015 season. The league has made the decision not to relegate the ninth-placed team in 2014 from the premier division, Division A and Division B, namely, Filey CC, Sherburn CC and Scarborough 3rds and have also decided to invite Muston CC, who finished third in the Derwent Valley League last year and will join Division C along with Flamborough CC and Great Habton CC, who had accepted previous invitations. This means the Beckett League will have 40 teams across four divisions, while the Derwent Valley League will have two divisions, 10 teams in each. The original fixture programmes had already been produced but a new matrix accommodating the new set-up has been organised by committee member John Crossland and will be handed out to clubs at the respective Annual General Meetings. Premier: Cayton, Ebberston, Filey, Flixton 2nds, Forge Valley, Heslerton, Nawton Grange, Scalby, Staithes, Staxton. Division A: Brompton, Cayton 2nds, Cloughton, Grindale, Mulgrave, Seamer, Settrington, Sherburn, Wold Newton, Wykeham. Division B: Bridlington 2nds, Forge Valley 2nds, Fylingdales, Ganton, Ravenscar, Scalby 2nds, Scarborough 3rds, Sewerby 2nds, Staxton 2nds, Thornton Dale. Division C: Cloughton 2nds, Ebberston 2nds, Flamborough, Fylingdales 2nds, Great Habton, Heslerton 2nds, Muston, Ryedale, Seamer 2nds, Wykeham 2nds.